Berlin -- The German parliament has called for an end to oppression and violence against Rohingya Muslims in Myanmar in a resolution adopted on Thursday night. The resolution, which earned overwhelming support by lawmakers, asked Chancellor Angela Merkel’s coalition government to use its influence on Myanmar authorities to stop human right violations in the country and recognize the rights of Rohingya. 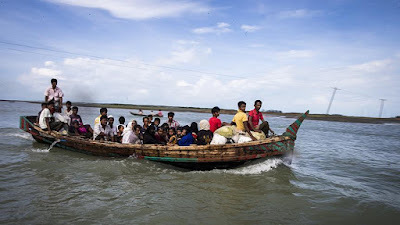 “The Rohingya should be granted full civil and political rights, and the citizenship of Myanmar,” the joint resolution said, and urged for the “safe, voluntary and dignified return” of Rohingya Muslims. The joint resolution was submitted by the ruling Christian Democratic alliance (CDU/CSU), its coalition partner Social Democratic Party (SPD), opposition Free Democratic Party (FDP) and the Greens. The socialist Left Party has also backed the resolution, while the far-right Alternative for Germany (AfD) voted against. Since August last year, some 750,000 Rohingya Muslims fled Myanmar amid a brutal crackdown by the country’s security forces.